The 17 year cicada (genus Magicicada) will emerge on the American east coast again this year in just a few days. As nymphs (grubs) they feed on the xylem fluid of deciduous tree roots. The xylem in plants is basically the tubes through which water and nutrients flow as it moves from the roots to the trunk, branches, and leaves. After staying in their nymph stage for such a long time, the emerged after 17 years as their adult form for four to six weeks. During this time their primary goal is reproduction. The buzzing sound you hear in the air during this time is their mating call as they desperately look for a mate. This genus of cicadas is one of the only insects that to follow such a lengthy and regular schedule. NPR’s affiliate, WNYC has a citizen science page called Radiolab. 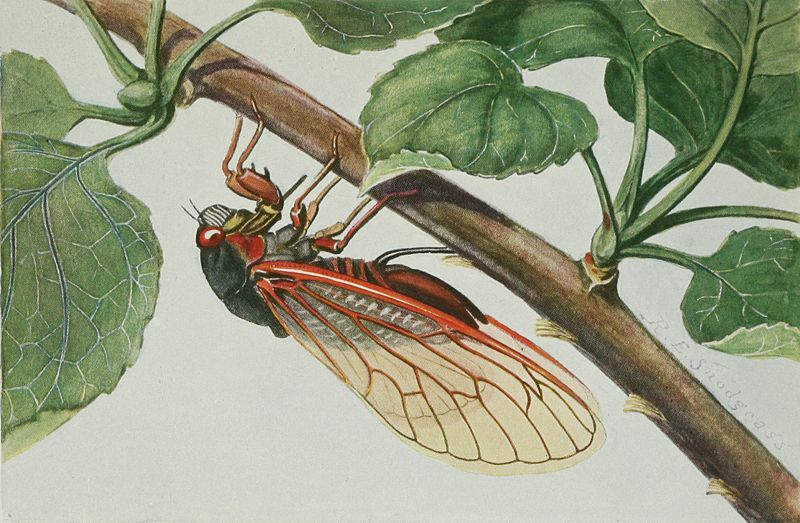 Radiolab has a great post regarding how you can track the emergence of the cicada. 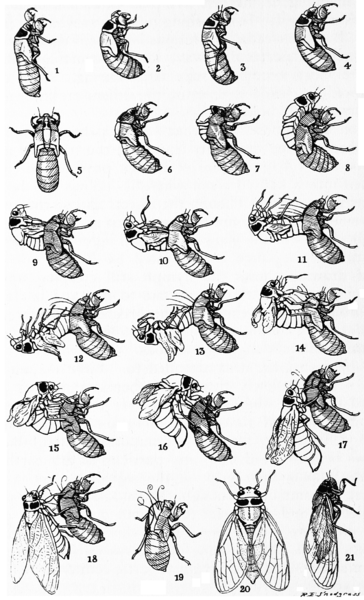 Cicadas emerge from the soil once the soil reaches a temperature of 64°F (18°C) eight inches (20 cm) below the surface. If you go to Radiolab’s cicada website (http://project.wnyc.org/cicadas/), they have a spot in which you can enter the current temperature of the soil in your backyard. 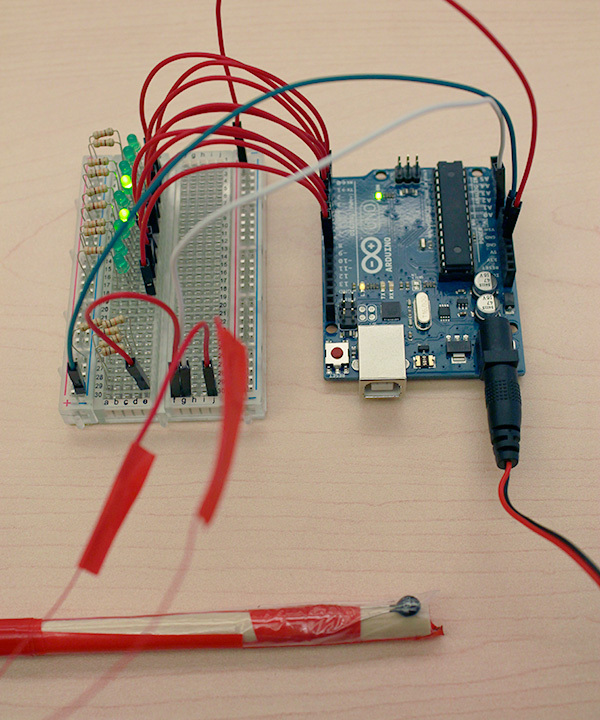 You can either measure it using a soil temperature thermometer you can purchase at a local garden center, or you can construct your own soil temperature monitor using some supplies available for purchase from your local Radioshack. Radiolab’s page says the parts all together cost about $80 total, and can be constructed in about 2 hours. Soil thermometers can be bought for around $10 to $20 at a garden supply store, but aren’t quit as fun as hacking your own soil thermometer. I thought this was a really fun and interesting citizen science project, mainly because it helps people get experience in soil physics, soil biology, entomology, and even engineering in a fun and exciting way. Let me know if you participate in this project by posting in the comments on this blog post page. If you take a picture of your project, send it to me and I’ll add it to the end of this post. This entry was posted in Citizen Science, Found on the Internet, In The News, Popular Culture and tagged Cicada, citizen science, entomology, Radiolab, Radioshack, soil, soil biology, soil physics, soil temperature, thermometer. Bookmark the permalink.